The third event of the 2018/19 WSOP Circuit Planet Hollywood has been brought to an end only recently, with Kevin Lott starting his career with a bang after emerging victorious from a field of 128 entrants. If someone told you that “quinquagenarian” and “new beginnings” simply do not go together in the same sentence, do not believe them! Kevin Lott, who is currently at the age of 55, proved such clichés wrong. 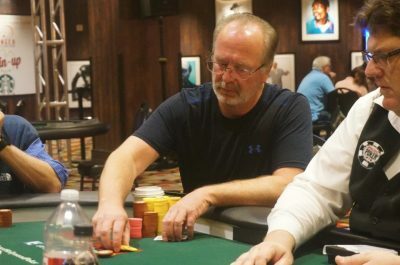 Less than two months ago, Mr. Lott decided to leave everything he knew behind him – he sold his house, quit the job which has been providing his bread and butter for 31 years and dropped everything he was doing not to depict some kind of a midlife crisis, as you might have thought, but to pursue his dream to play poker. And he did it with a bang. As Mr. Lott explained, he became a professional poker player only six to eight weeks ago, when he moved to Las Vegas to start a career in poker. So it happened. 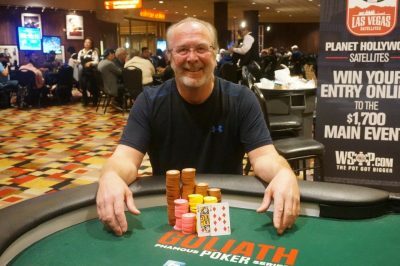 The 55-year-old man took down the third event from the 2018/19 WSOP Circuit at the Planet Hollywood Resort & Casino and took home not only the lion’s share of the prize pool but also his first-ever Circuit gold ring. The $400 NLHE Big Blind Ante Re-Entry event gathered a 128-player field who generated an overall prizepool of $42,240. As mentioned above, it marked a new beginning of Kevin Lott, who emerged as the winner and brought him his second career WSOP cash. Mr. Lott has been so far a regular player at 2018 Aria Resort & Casino Recurring Tournaments, but he had little experience with WSOP tournaments. The victory boosted his all-time live earnings to $126,368, despite being far behind his best live cash of $97,233 which he generated after ranking fifth at the 13th Annual Arizona State Poker Championship $1,100 NLHE event in 2017. Tomorrow's @PHVegas new ring event is Event #3: $400 No-Limit Hold'em. Event #3 will use the big blind ante format. Cards get in the air at noon with registration open until 4:30 pm. After the beginning of the second day of the event, it took Mr. Lott less than two hours to claim victory and get his first-ever WSOP Circuit gold ring. With Kevin Lott being crowned as a winner of the 2018/19 WSOP Circuit Planet Hollywood $400 buy-in NLHE Big Blind Ante Re-Entry event, and taking home his first gold ring and a monetary prize of $11,826, it was Jim Pifer who occupied the runner-up position. Pifer was awarded a prize pool portion amounting to $7,310. The third place was occupied by Brent Ballentine, who got $5,277 for his efforts. Cosmin Joldis followed on the fourth position, with David Larson and Steve Firestone ranking fifth and sixth, respectively. The seventh place was taken by Javid Javani, followed by Thomas Moore on the eighth. Richard Arnold took the ninth place at the final table ranking, for which he got a prize pool portion of $1,068.